The excerpt below originally appeared in A2Apple, GSV’s weekly perspective on growth, innovation and investing. It was written by GSV Asset Management co-founder and partner Michael Moe. Click here for the full piece. Next-generation satellite launch and management platforms like Vulcan Capital-backed Spaceflight Industries are making it more efficient and affordable for companies to place satellites into orbit. Accion Systems is re-imaging the satellite altogether with advanced components that enable the creation and deployment of Nanosatellites, or “Nanosats.” Ranging from the size of a shoebox to a refrigerator, Nanosats are significantly smaller and more affordable than traditional satellites. As James Crawford, the founder and CEO of satellite imaging startup Orbital Insight observed, “In the old days, when satellites were like mainframes, incredibly expensive, if you managed to get an image, you probably spent $10,000 on them.” New satellite technology fundamentals, coupled with declining costs for computing power and data storage, have changed the paradigm. 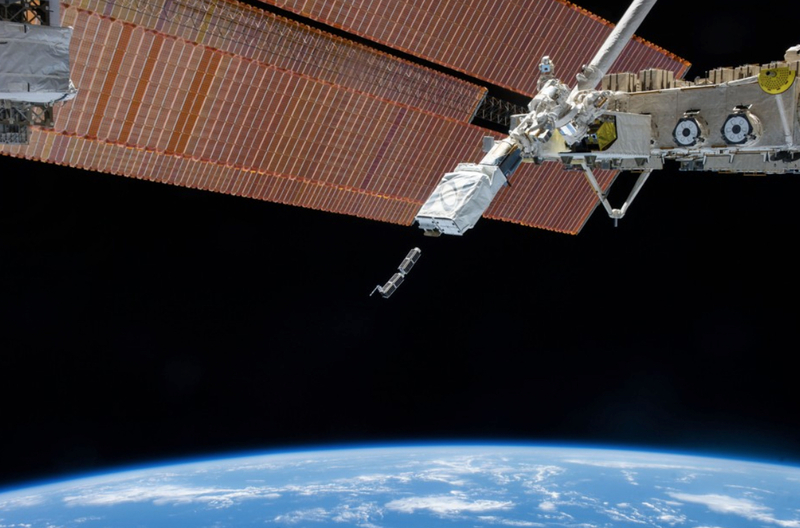 In the next twelve months, Planet Labs will have deployed 150 Nanosats (“Doves” in Planet Labs vernacular), the largest fleet of Earth imaging satellites in the market — among private companies and government agencies alike. But small satellites are only part of the equation. Planet Labs, which produced the first set of daily, global earth images, is generating 370,000 images and 11 terabytes of data per day. The applications for new troves of imaging information from Space are wide-ranging. Weather services can utilize sensors on Nanosats to gather better data and provide a clearer picture of climate patterns. Governments agencies can analyze imagery to monitor deforestation and environmental impact over time. Companies like Spire are dramatically improving global supply chain management by using satellite imaging to eradicate the “data dead zones” that exist across the Earth’s oceans. Until recently, it was possible to track a UPS truck to a city block, but cargo ships carrying millions of dollars worth of goods remained elusive. Spire is changing that. 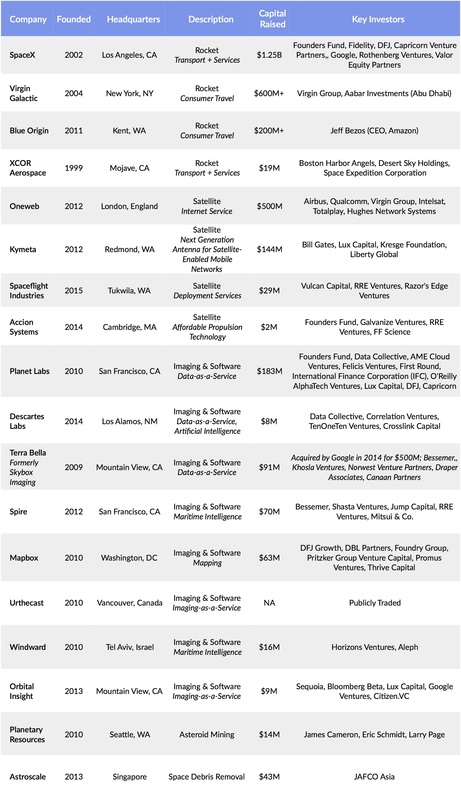 Data from space will continue to diffuse into broader industries. Investors, for example, can monitor traffic to key retailers as a leading indicator for financial performance. Based on a million satellite images Orbital Insight conducted a historical analysis on cars in the parking lots of Ross Stores, which successfully forecasted the retailer’s better-than-expected quarterly performance. The list goes on. As entrepreneurs continue to apply new ideas and technologies to Space, we expect a drumbeat of game-changing businesses to emerge. Companies such as Planetary Resources and Deep Space Industries are developing the capability to mine resources from asteroids. In the future, minerals and water mined from near earth objects could directly supply the new Space economy without having to spend $10,000 per pound to launch resources into low Earth orbit and beyond. 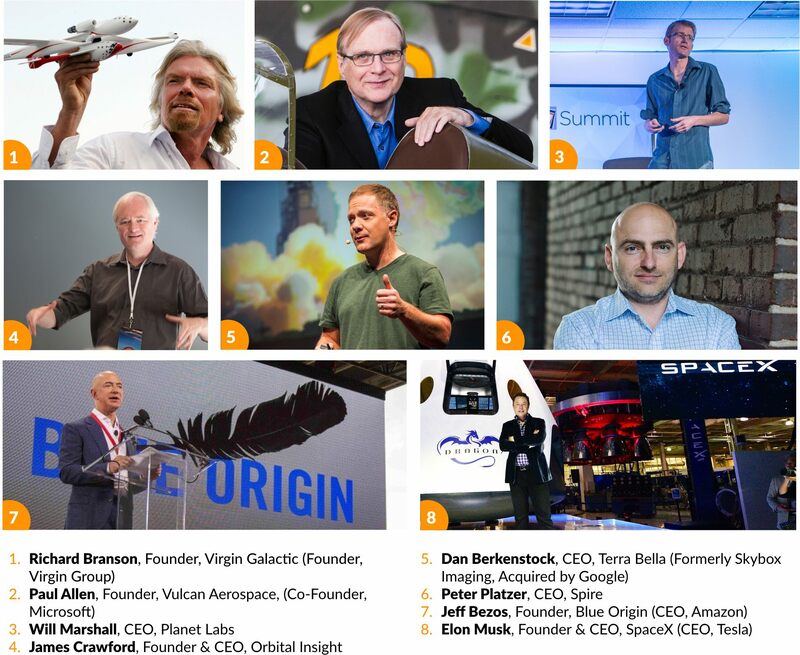 If reading about the pioneers shaking up the space industry gets you excited, then you’ll want to be at the GSV Pioneer Summit. It’s is a two-day technology conference (September 14-15, 2016) in the heart of Silicon Valley that is focused on the people and companies building tomorrow’s industries. The Pioneer Summit convenes a global community of daring entrepreneurs and connects them with leading growth investors and global corporations who can help scale their efforts. GSVlabs in Redwood City, California will host the 2016 GSV Pioneer Summit. Buy tickets now to reserve your place.